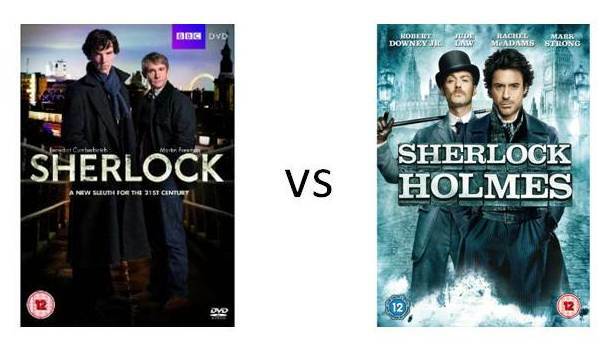 "BBC's Sherlock vs Guy Richie's Movies - which is more beneficial to Holmes in the 21st Century?" Two teams of Holmes experts, one arguing for each side, will present their case in front of an online audience of 100 lucky Holmes fans. The debate will run for an hour from 8pm UK time. After a brief introduction each team captain will have 5 minutes to present - they will be able to uses slides, video and audio to argue their case with input from their team members. Then the floor will open up for the main debate. Audience members will be able to submit questions and comments online. The presentation and debate will be recorded for release in several formats. The teams are lining up nicely. Roger Johnson (BSI), the editor of The Sherlock Holmes Society of London's journal was one of the first ones to add his support to the debate - we'll reveal which side he is on later on. The first of the MX authors to line up is Kieran McMullen (author of Watson's Afghan Adventure), who is supporting the Guy Richie movies. We already have participants from the UK, France, USA and Australia so the debate will truly be global. The main place for updates about the debate will be the Great Debate Facebook page and that is where the free audience places will be handed out some time in October. As it's an online debate, fans from all around the world will be able to register for this unique event. Keep an eye on the page for the latest team information - you can also place your own vote on that page.